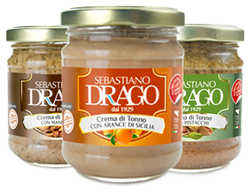 Tuna Creams and Patè accompanied by typical Sicilian flavours. 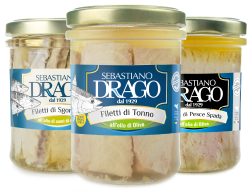 The Company, founded in 1929, operates in the preservation of fish products respecting Sicilian tradition and it has an experience gained from four generations. 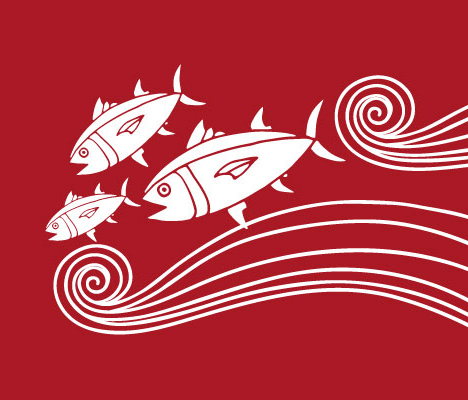 The company operates in the conservation of natural fish products or with olive oil or sunflower oil, like for example tuna and mackerel, fishes always present in the typical Sicilian cuisine. 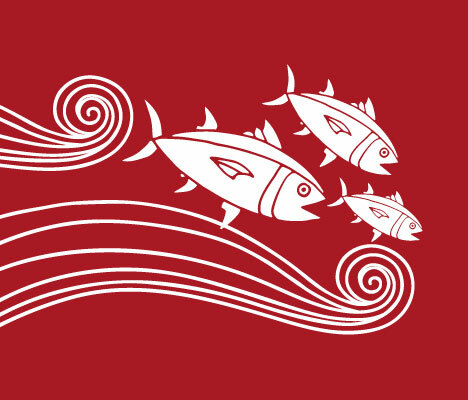 Tuna is cooked in water and salt, not with steam, in order to keep the organoleptic qualities intact and do not disperse the majority of the protein. After cooking, the product is cooled and skinning manually and the operators remove also the fishbones. 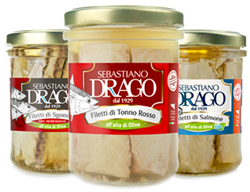 The clean slices are then cut into threads and placed in glass and jars of different sizes. 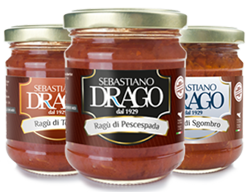 In respect of the sea, fishing methods and consumer health Drago preserves adopted strict corporate standards and certifications that make Drago product, one of the best on the market!